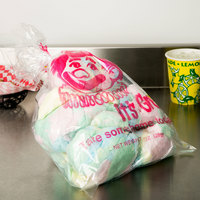 Cotton candy is an all-time favorite, and it’s commonly enjoyed at carnivals, sporting games, and fairs! 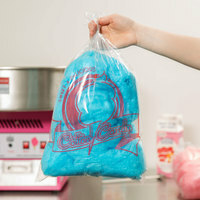 If you operate a concession stand or snack shack at any of these events, it’s important to have a supply of bulk cotton candy bags to package, merchandise, and sell your freshly made treats. Whether you’re looking for plain, clear options, or you want styles with decorative designs on them, we’re sure to have an option for you. Many of our bulk cotton candy bags are packaged on a convenient paperboard header that keeps hundreds of bags together, so they don’t blow away at your outdoor venue. They even come with twist ties, so you can tie off the top of the bag for your customers’ convenience. 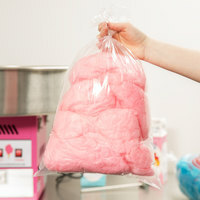 When you stock up on our wholesale cotton candy bags, you’ll receive a large supply so your high volume establishment won’t need to reorder as often.